Greece has been on my mind a lot lately. 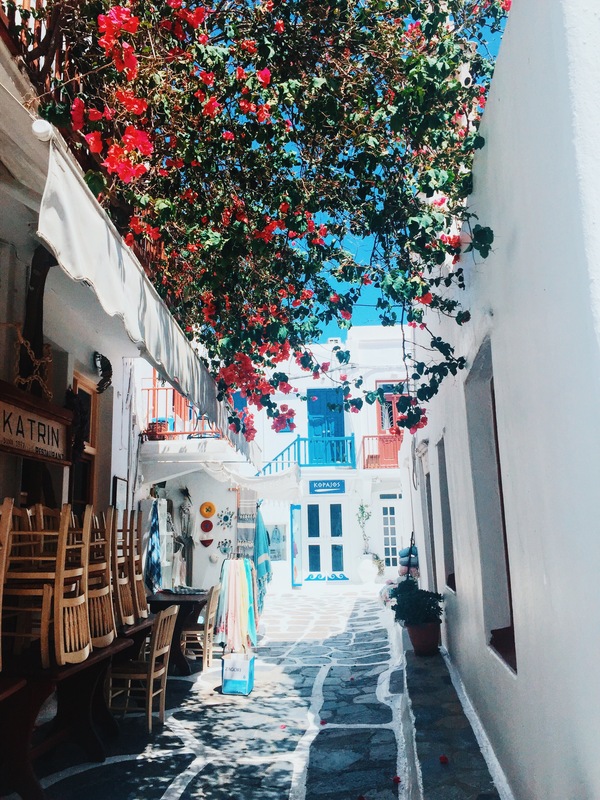 This is a shot from Mykonos this past summer when I traveled Europe with my bff Bogdana. I miss the narrow walkways and the delicious food. I miss the sunshine and the beautiful men. I even miss staying up all night and being exhausted the next day (which says a lot, I love my sleep). Cannot wait for when I am back in this beautiful place, lounging with a kebab in one hand and a drink in the other.